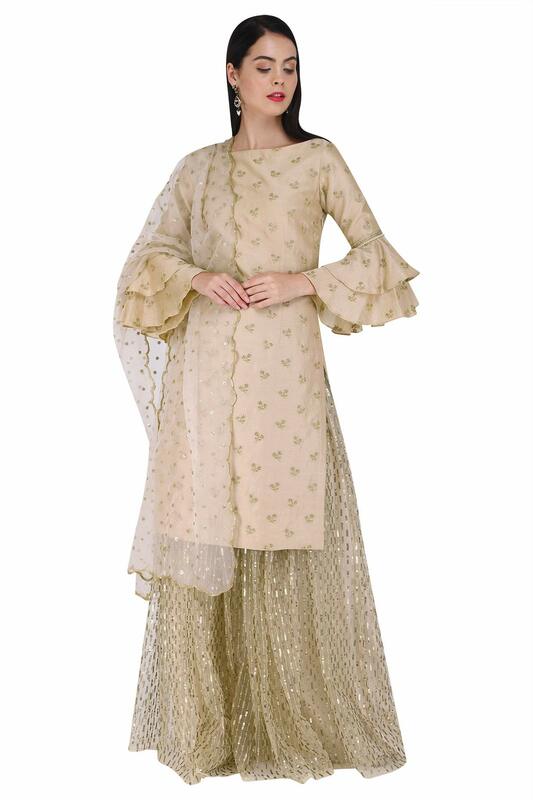 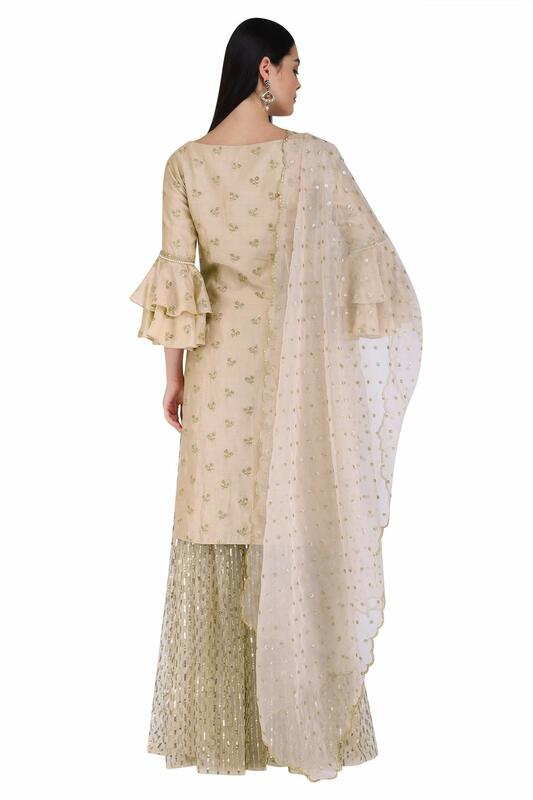 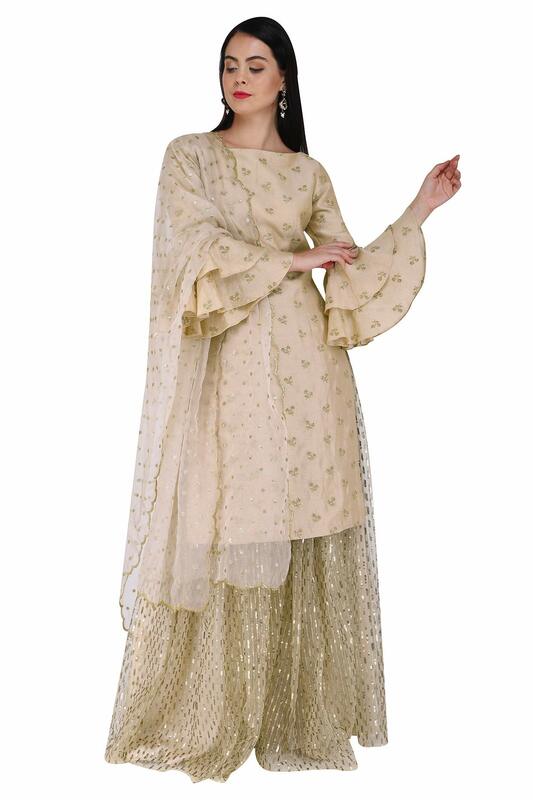 Featuring a hazelnut kurta in chanderi base with gold sequins embroidery and ruffle sleeves. 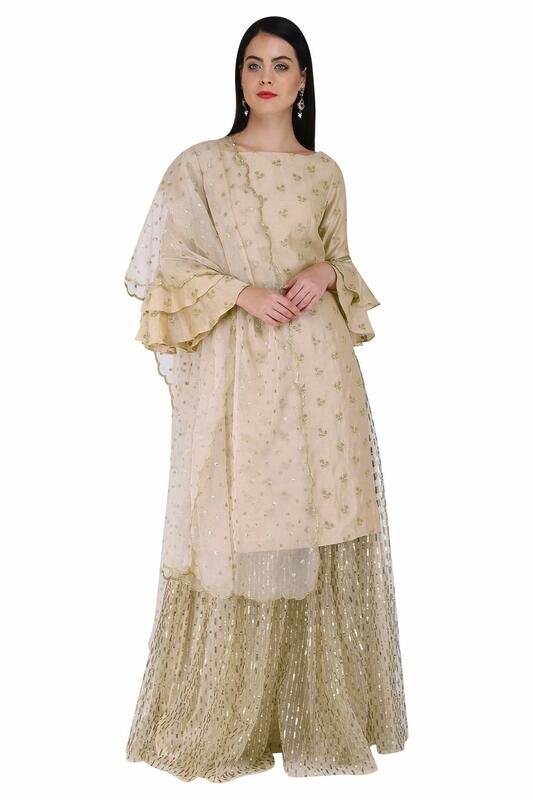 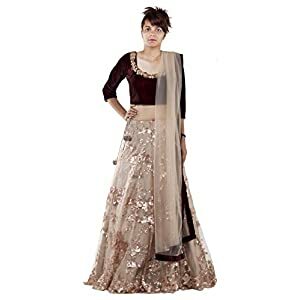 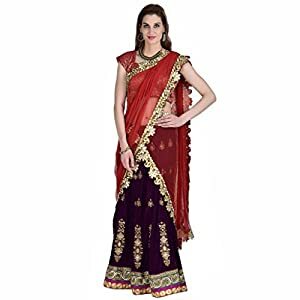 It’s paired with an identical lehenga and an organza embroidered dupatta. 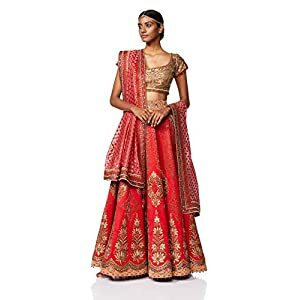 FIT: Geared up at bust and waist.